Sarah Glidden studied painting at Boston University. 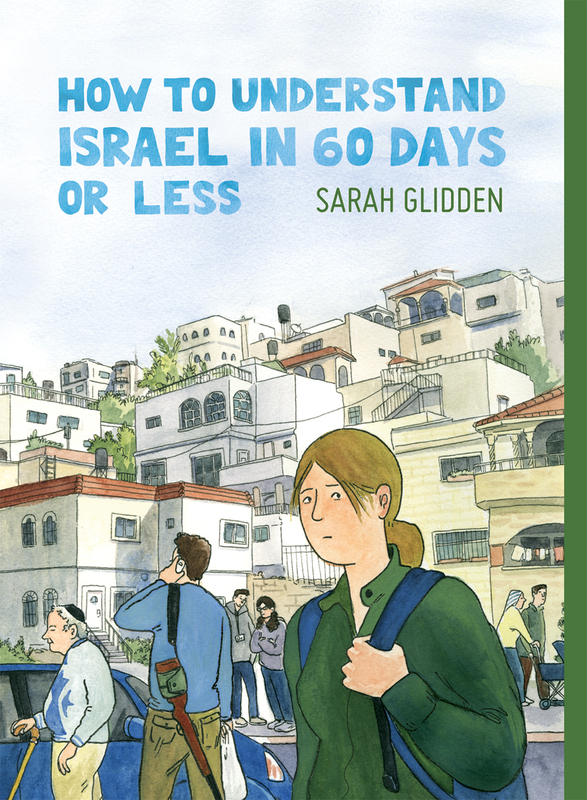 Her first book, How to Understand Israel in 60 Days or Less, earned her the Ignatz Award for Promising New Talent and was translated into five languages. Glidden's comics essays and journalism have appeared in various newspapers and magazines, as well as in the Best American Comics anthology. Her second book, Rolling Blackouts, was published by Drawn & Quarterly in 2016, receiving widespread acclaim and spending a month on the New York Times Bestseller list. Glidden lives in Brooklyn, New York. In Rolling Blackouts, Glidden accompanies her two friends―reporters and founders of a journalism non-profit―as they research potential stories on the effects of the Iraq War on the Middle East and, specifically, the war’s refugees. Joining the trio is a childhood friend and former Marine whose past service in Iraq adds an unexpected and sometimes unwelcome viewpoint, both to the people they come across and perhaps even themselves.